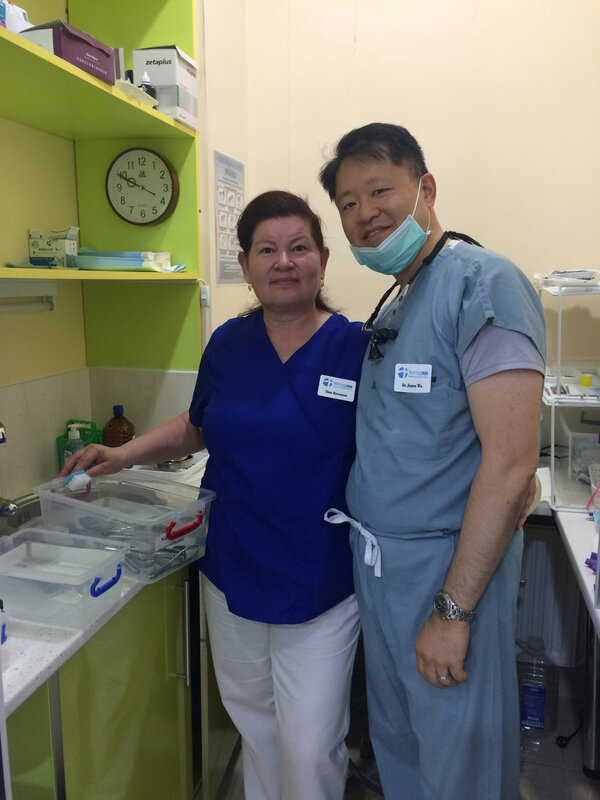 We look forward to our fifth year working in Pacea Familiei Dental clinic in Chisinau, Moldova. We hope to bring dentists and hygienists to our wonderful clinic. We will also focus on Ohrincea village delivering nanny goats for milk to some of the poorest families, provide painless dentistry to villagers, and schedule a VBS at the school there. Our team is looking forward to holding a Pastor's Conference for Romania and Moldova in Bucharest on June 20-21st. Our team will be serving at the Diaconia Medical Center in Braila, Romania again this year. We will have 11 subspecialties on our medical team (Eye and Ear surgeries, ENT, OB/GYN, Special Needs, Colon/Rectal, Dermatology, Radiology, Ophthalmology, Dentistry, and Family Practice.) This will be our 22nd year serving in Romania. We will also have teams busy doing Community Outreach Ministry with our partner church Holy Trinity doing Home-to-Home ministry, Vacation Bible School and children's ministry, goat and food basket ministry, and other outreaches. We look forward to our fourth year working in Pacea Familiei Dental clinic in Chisinau Moldova. We are aiming to bring 3 dentists and the first 2 hygienists to our wonderful clinic. We will also focus on Ohrincea village delivering nanny goats for milk to the poorest families, provide painless dentistry to villagers, and schedule a VBS at the school there. We are anxious to see how the Holy Spirit will work through you to influence our adventure in sharing the love and grace of Jesus Christ. Come and join us! Our team is looking forward to serving at the Diaconia Medical Center in Braila, Romania again this year. This will be our 22nd year serving in Romania. Our team will also be busy doing Community Outreach Ministry with our partner church Holy Trinity like providing backpacks and school supplies to children in need. Join us as we head back to San Juan Sacatepequez, Guatemala for a wonderful week of ministry! Together with our ministry partner Pastor Lopez and Monte Shama church, we will host a community health fair, dental clinic, build stoves, and many church and community outreach projects.